If you have a typical full-time job, you spend 40 hours of your life at work over five consecutive days. This is almost a quarter of your entire week, while another quarter of it is spent sleeping! In my previous role at an advertising agency in the Bay Area, I was fortunate to have the opportunity to grow from an intern to a manager in just under two years. During this time, I put myself through many 50+ hour work weeks trying to excel as much as possible in each role. 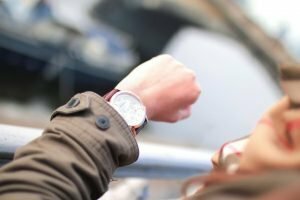 Have you heard the saying “Time is money?” This phrase has weight because, like money, our time is valuable. Time’s value lies in its ability to allow us to maintain relationships, explore our hobbies, keep healthy, reflect, and make a difference. Through the experiences I’ve had in the workplace, I learned three important things to keep me motivated during the long days, create success for myself in a demanding and fast-paced work environment, and make the most of my time. Work can have its ups and downs. You may have days where your team accomplishes all your tasks for the day, but you may also have days where all the work falls on you. In this case, stress can arise in reaction to the amount of work you have to accomplish, which can actually negate your productivity. Staying positive can help you work more efficiently and help you to manage stress. While positivity is intrinsically good for your own productivity, it also has a strong influence on the people around you. When you are positive, others around you are likely to be more positive. When you are negative, people are responsive to that and are then prone to negativity. Think of something as simple as a person increasing the pitch of his or her voice at someone positively (like a coach to their team) or negatively (like a disgruntled customer to a service representative). We are naturally more motivated to participate, perform, and be helpful when we interact with each other positively. 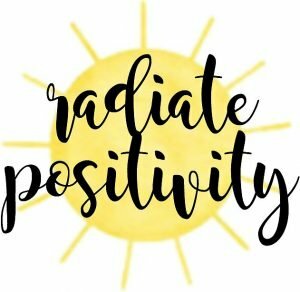 There are many ways you can practice positivity in your daily life. One way to start is to make your bed every day. Many attest to how this simple act has had a positive effect on their wellbeing, and who doesn’t love coming back to a made bed after a long day! You can also bring more positivity into your life by making decisions for yourself one day in advance. Pick out your outfit the night before, have your meal prepped, or write out the tasks you need to complete – I highly recommend using a task management software from Asana or MeisterTask to organize your daily tasks. Your personal workflow is the process by which you complete tasks and projects. Everybody has opportunities to improve the way that they work. Without analyzing your workflow, you will most likely be as productive as you were the day before. To analyze your workflow, you must first have an understanding of the task at hand. When you start at a new company, you may be tasked with a new responsibility that is unfamiliar to you. To be successful, you will have to understand the process and steps it takes to complete, which is often passed down from someone who has previous experience. In addition, you will need to know the desired outcome or goal of the task to give reason to the steps you are taking. Take note of how you spend your time so that you can determine your strengths and opportunities for improvement. 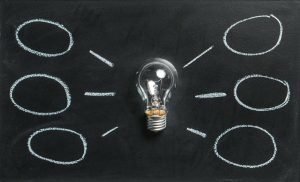 Once you understand the task and overarching goal, you can start to critically examine the process yourself and brainstorm solutions to reach your goal more efficiently. Analyzing your workflow can help you work more efficiently and create more time for you to achieve your ideal work-life balance. Work, and life for that matter, are never going to be without problems. If we focus too much on the ways that problems can threaten us or our organizations, then we undermine our success. If we didn’t face problems, then we would have no opportunity for growth. But, when we can see the positive side of overcoming challenges then we are demonstrating a solution-oriented mindset and are inspired to create innovative solutions. Having a solution-oriented mindset does not mean you must come up with the best solution to overcome the problem at hand. Rather, having a solution-oriented mindset means addressing a problem and brainstorming strategies to help you solve it. When graduates enter the workforce, many can be unsure about tackling issues when they are surrounded by people with more professional experience. This should not discourage you from participating in the problem solving process. If you do not know the answer, work with a supportive coworker or manager to ideate a solution together. Contribute to the conversation thoughtfully with creative thinking, your education, and unique life experience. Your ideas might not always be supported or even pan out the way that you hoped, but by taking the time to pitch in you will find that new solutions will come to you more easily and your team will appreciate your eagerness and motivation to help. Success is defined by you and what you want it to be. In the workplace, many people look at success with fancy titles or a dollar amount next to their name. 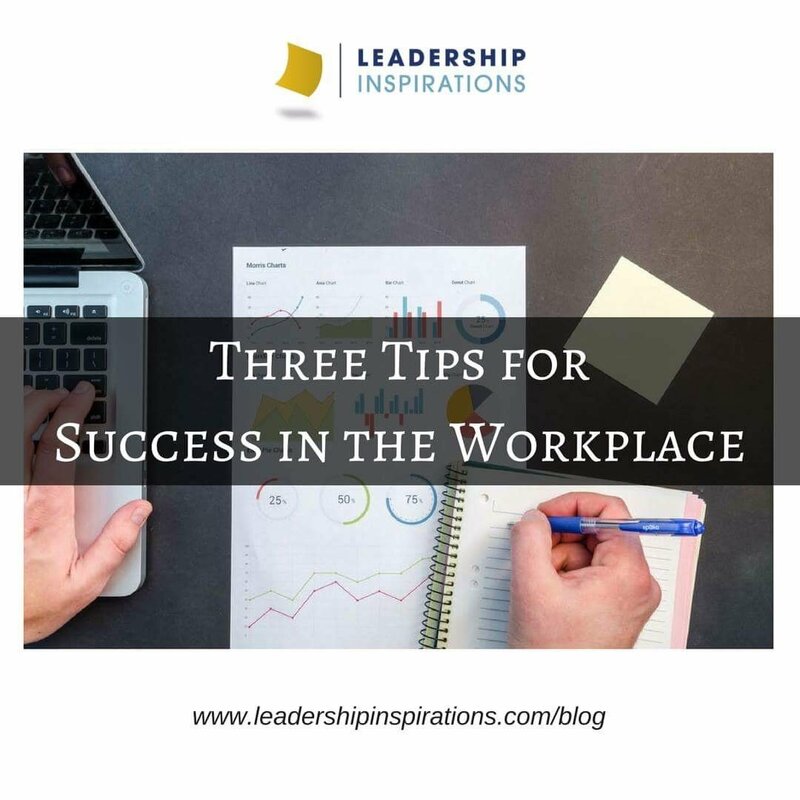 For me, success in the workplace is following the three important reminders of being positive, analyzing my workflow, and coming to the table with solutions to make my work and others’ work around me more efficient. In this way, I am helping create valuable time for me and my team to enjoy life outside of the office! 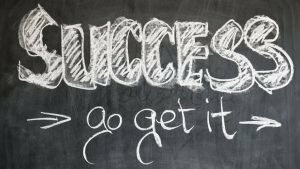 What does success look like to you in the workplace? Comment below! Sean Brennan has been with Leadership Inspirations for over eight years now as a student and coach. He graduated from Gonzaga University with a B.A. in Public Relations and ended up as a social media marketer at a digital media agency in the Bay Area. 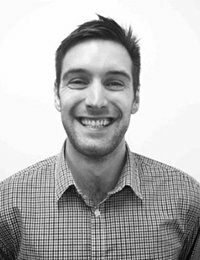 When he is not working, Sean likes to travel the globe and has checked off six continents already!